You are on top of the world with non-stop views in this fabulous cabin! 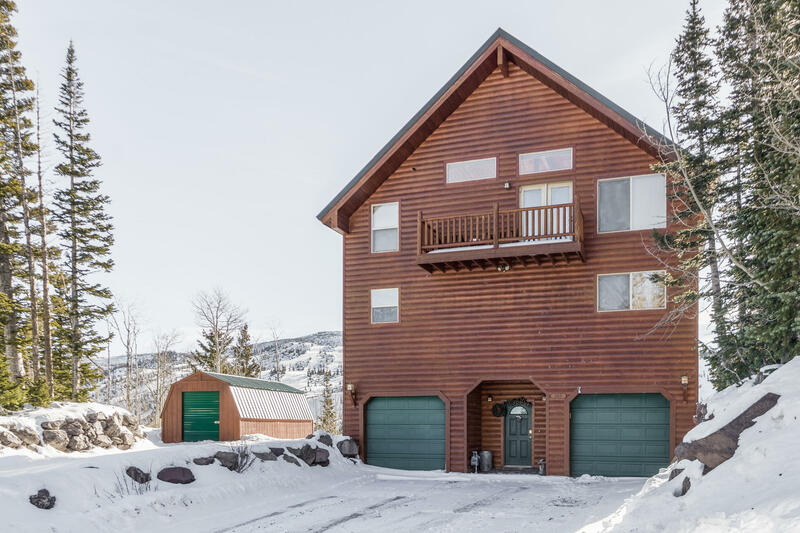 Sold turn key including the exercise equipment, you have enough beds to sleep 14, a complete kitchen with granite countertops and stainless steel appliances, a large deck with a hot tub to view the skiers, torchlight parades and all the events at the Giant Steps Ski Area. Handmade Aspen railings make this custom home above the rest! There is even a sauna in the downstairs bedroom. A shed to hold your toys is located right off the house (currently holds 4 snowmobiles). If you want a view, this cabin is a must see!